Photo op for a Tesla owner! 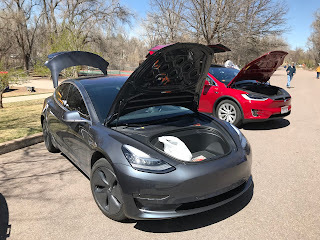 I received this message in the mail late yesterday, if you're interested in having your Tesla in a photo shoot, please contact Dennis Roark. I have an opportunity for a Tesla Owner or three to possibly get their car noticed by Elon himself. A Client of mine, Conceal Fab builds a product for Tesla to be used at their charging stations. 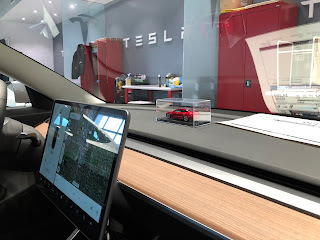 Tesla HQ has asked they provide a few pictures of the V1 Tower with a couple Tesla's for perspective. 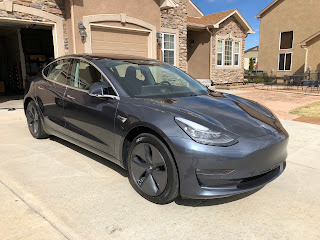 If any of the COS Tesla owners would be gracious enough to let them take a few photos it would be much appreciated. I could meet them anytime Thursday afternoon, Friday or Saturday to get them in and give them a tour. It shouldn't take too much of their time. I can be reached at this email address or my phone number is listed below. Conceal Fab is located at 10205 Federal Drive COS CO 80903. Just off Interquest. Thank you all for partnering to help celebrate this year’s Earth Day! The weather certainly did not help but it is great to get some moisture for our area. Sorry to those who ended up canceling due to the cold and snow. We were able to move many partners inside and have a smooth event that saw over 2,400 visitors! Please let me know if you have any comments or suggestions for improving next year’s event. Next year’s event will take place on Sat., April 20th, 2019. I hope you can join us again for our 22nd annual Earth Day Celebration! UPDATE: The CSEVC is cancelling our participation for Earth Day due to bad weather. The event will go on indoors, but outside vendors are cancelling. Can a decades-old Morris Minor be electric? Here's an interesting twist on EVs - convert a classic car to an EV over a weekend! 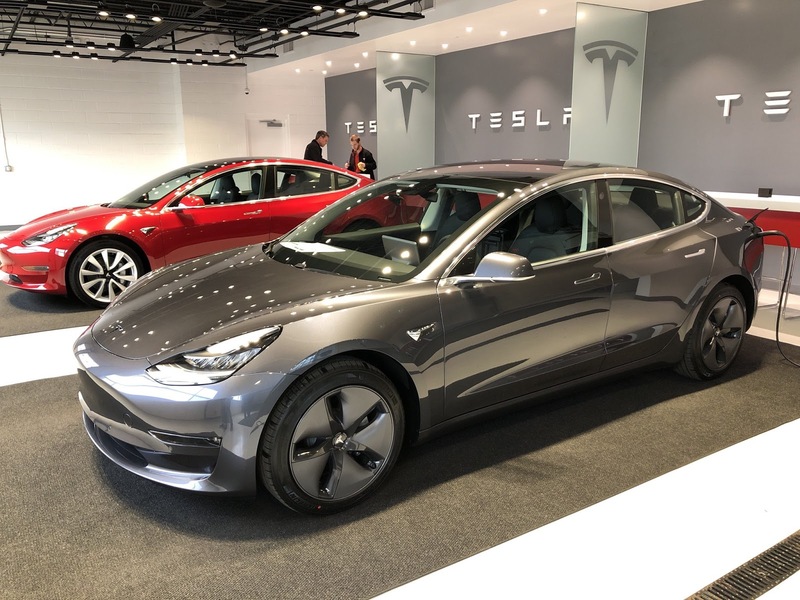 Even the latest and greatest EV has an environmental impact when being manufactured. By far the least impact is to convert an existing gas car to electric, you save all the manufacturing costs. Here's an article about a company selling conversion kits for the old Morris Minor...what a great way to update any car! Wendy Crawford is our latest member! We've just added Solar Consultant Wendy Crawford to our club's membership list! She works for Ecomark Solar and will be getting an EV when she next replaces her car. Please make her welcome! We had a good turnout of CSEVC club members despite the cold wind. I'm posting this on Sunday and wishing today's weather happened yesterday. Our club showed all three Tesla models available for purchase (MS/MX/M3), a Spark EV, several Leafs and a Ford C-Max hybrid. Thanks to everyone that participated! Andrew finally gets his M3! Our club member, Andrew, was the first in Colorado to order an M3...and it's here! 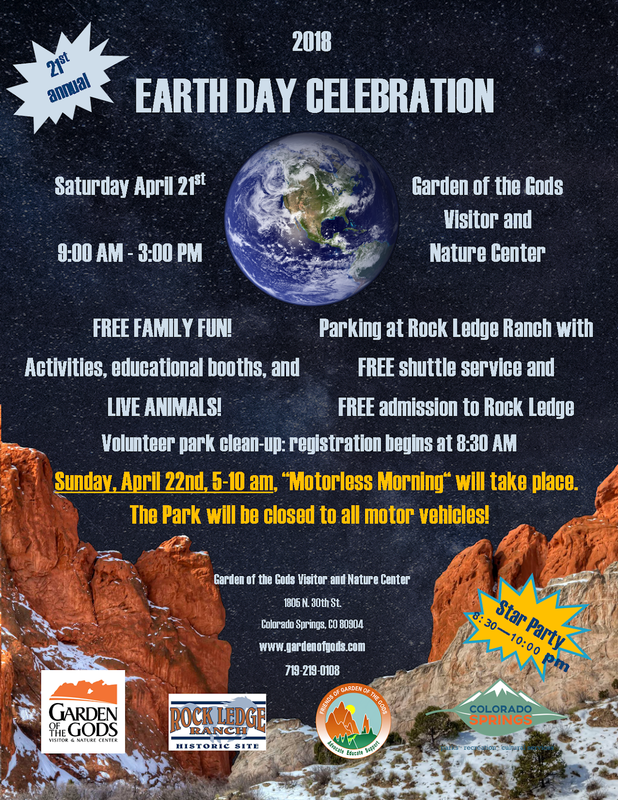 Garden of the Gods Visitor & Nature Center and Rock Ledge Ranch Historic Site will host the 2018 Garden of the Gods Earth Day Celebration, Saturday, April 21 from 9 a.m. to 3 p.m. This is a free event with lots of fun and education for all ages. There will be lots of activities with over 30 partnering organizations to include demonstrations, educational booths, crafts, and live animals. Parking for this event is across the street at Rock Ledge Ranch with free shuttle services. · Free admission to Rock Ledge Ranch Historic Site and their celebration events. · Free performances: American Indian Dancers, Chemical Magic Show, Cheyenne Mountain Zoo. · Nature walks, touch tables, arts and crafts, demonstrations, and educational exhibits by over 35 participating partners. · Volunteer option for the Garden of the Gods Park Clean-up (Registration at 8:30 am). · Star Party follows from 8:30 pm – 10:00 pm (same location). 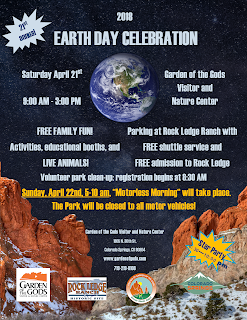 Then, on Earth Day, Sunday, April 22, the City of Colorado Springs’ Parks Recreation and Cultural Services Department will host a Motorless Morning in Garden of the Gods Park. 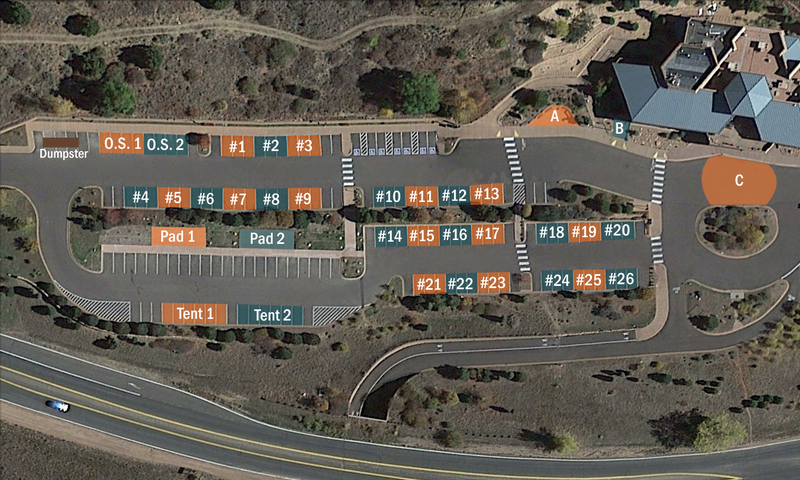 This pilot event will eliminate motor vehicle access within the park from 5-10 a.m. The event is part of a series of Earth Day activities at Garden of the Gods Park April 21-22. 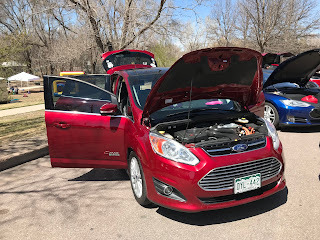 During the Motorless Morning, visitors will be encouraged to park their vehicles at the Garden of the Gods Visitor and Nature Center or Rock Ledge Ranch Historic Site. As always, the park will remain free and open to the public, and all park rules and regulations will be in effect. 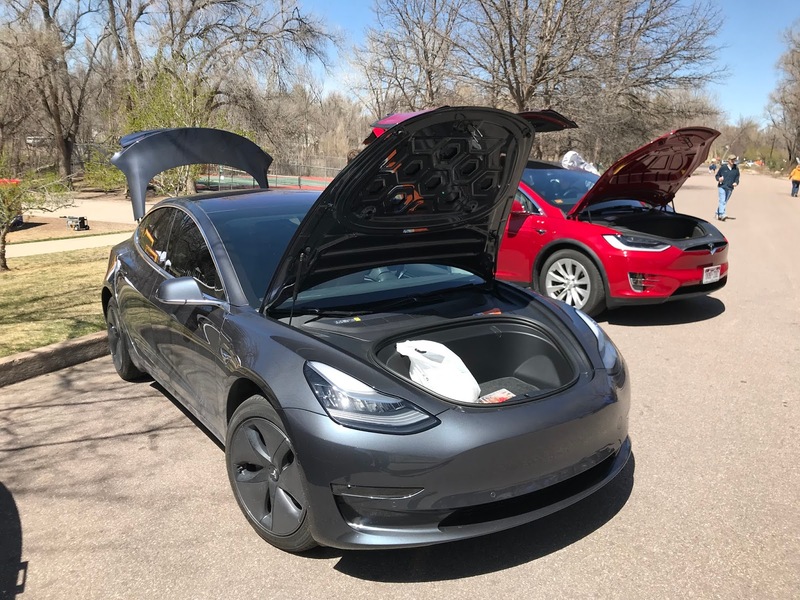 This pilot program was conceptualized from a recent transportation study designed to enhance the visitor experience and protect the natural elements of Garden of the Gods Park. The parks department sought input last month from residents about proposed ways to alleviate congestion, enhance access and reduce emissions. Please visit www.ColoradoSprings.gov/GOGTransportationStudy for more information. Our latest member to join is Tom Harrington from Colorado Springs, CO. 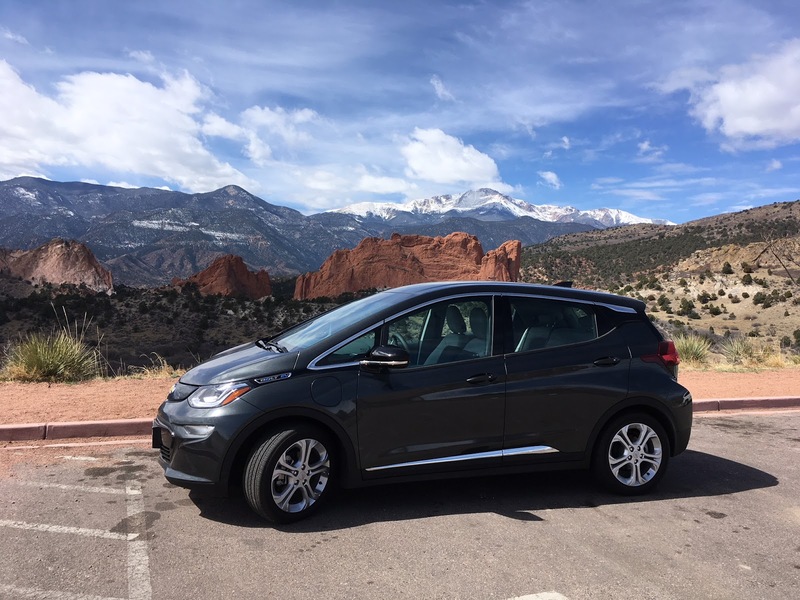 He has a 2017 Chevy Bolt and we hope to see him at our next event...make him welcome! 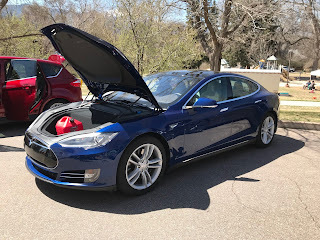 Earth Day 2018 needs EVs! The next weekend after the Sustain-A-Fest, the Earth Day Celebration wants EVs! I was asked to see if our club could provide cars. The event is Saturday, April 21, 9:00am - 3:00pm at the Garden of the Gods Visitors Center. If you're interested, please RSVP to Bret Tennis mentioned in our broadcast email. The GOTG park has allocated parking spots #4 - #9 for electric vehicles. Note that there is a waiver of liability you must sign to participate. The Sustain-A-Fest needs volunteers this April 14! Yet again the CSEVC is a featured group that is participating in the 2018 Sustain-A-Fest event on Saturday, April 14, 2018 in Colorado Springs, CO. This sustainability event showcases renewable living choices, and electric vehicles are a large part of that event. The event is at the SustainEvent Center, 704 E Boulder St, Colorado Springs, CO 80903-3104. 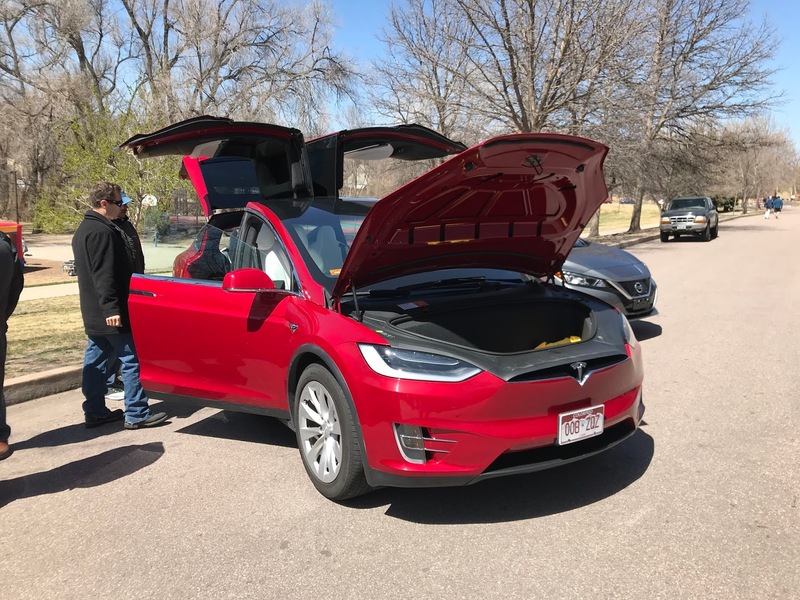 Participating EV’s will enter the event area from the intersection of Willamette St. and El Paso St. in Colorado Springs, CO as you turn South onto El Paso St. There will be a road barrier and CSPD officer who will allow you into the event area. If you're on Facebook, the event is listed https://www.facebook.com/events/146160976080440/. If you have an electric car - non-Tesla brands are encouraged - that you would like to put on display any time from noon to 6:00pm on April 14 in Colorado Springs, please RSVP to me as soon as possible. We'd prefer local non-Tesla cars because those can easily attend a Colorado Springs event and the Sustain-A-Fest folks like to show affordable options for travel (Model 3 owners are welcome!). You can come and go as you please at the event, you don't have to stay the entire time. Most attendees stay a couple of hours and then leave. I'd like to be able to have vehicles on display for the entire show, so if you can RSVP and tell me when you can make it, please do. Say something like "I can stay noon until 2:00pm" or "I can stay a couple of hours at any time during the show". I will assign you to a time of mutual agreement for the show. Thanks for considering this event, it's one of many we do with environmental and sustainability organizations. Shows like this are a great way to share your EV experience with others! P.S. I'll be at the show the entire time, so you can contact me during the day if you have any questions. If you participated last year, please do so again regardless of your vehicle model. New member Alberto del Toro! Welcome our latest, Alberto del Toro, from Colorado Springs. 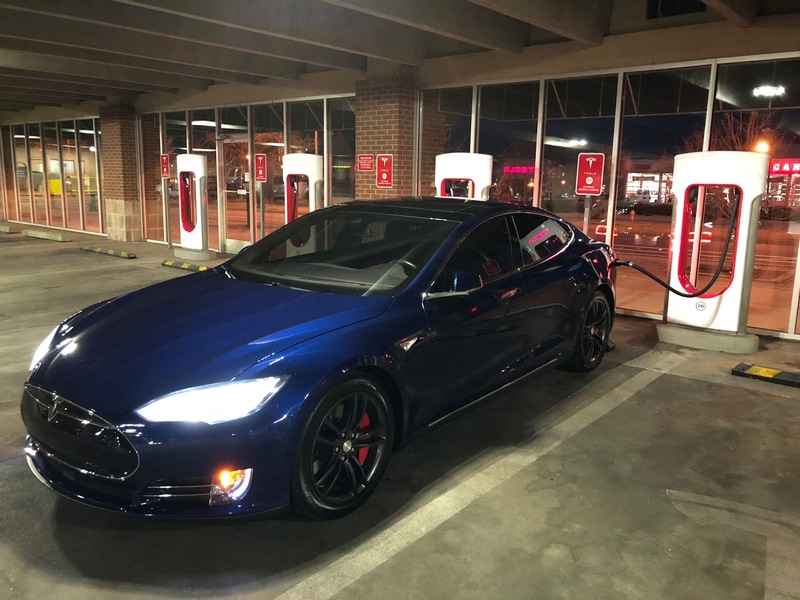 He has a blue 2014 Tesla Model S 70D and a Model 3 on order. Let's hope he joins one of our car shows and shares his Model S!